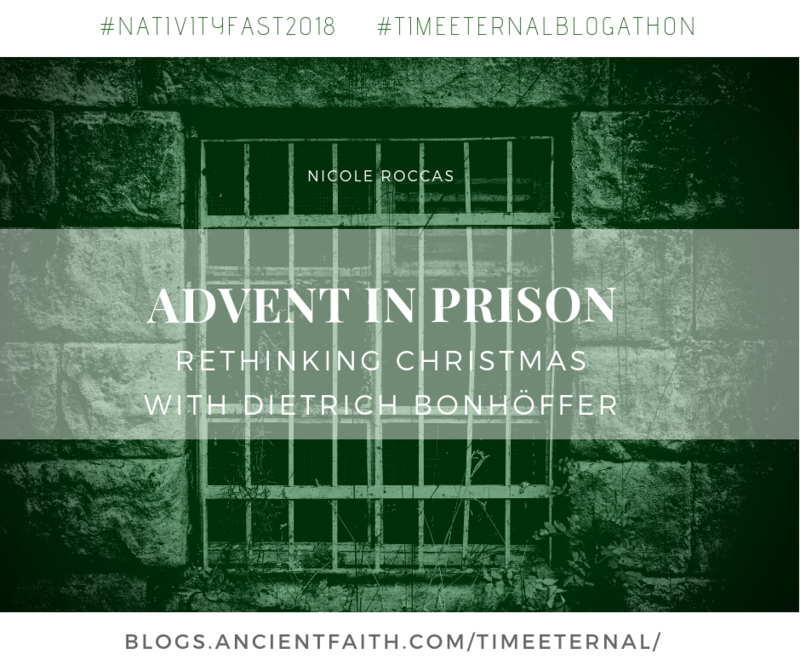 Since December 1, I’ve been listening to the audio version of God is in the Manger, an Advent devotional comprised of excerpts from Dietrich Bonhoeffer letters and writings from prison. Aside from the martyric backdrop of Bonhoeffer’s life, this particular work offers a helpful corrective to the commercial elements of Christmas that plague our culture. All of the excerpts come from Bonhoeffer’s prison writing; he was afforded few luxuries or warm and fuzzy traditions. Bonhoeffer recognizes that the absence of the material and commercial accoutrements of Christmas clarifies rather than dampens the message of Christ’s birth. He draws on a famous phrase from his own faith tradition–Luther’s famous observation that we are beggars–to express our utter emptiness and contingency before Christ. One of the reasons this time of year is so stressful, I think, is that this sense of emptiness and possessing-nothing-ness stands in such tension to the consumerist myth of Christmas. Something in the dark days of Winter, the plaintive carols, the pursuit of imbuing our homes with beauty and greenery–something in all of this signals to us how empty we really are as human beings. And that sense–whether faced consciously or not–unnerves us. This particularly true when we begin to fall prey to the consumerist Christmas myth that tells us as long as we buy enough stuff, give enough presents, we will be happy. We will be full. Somehow thinking about Christmas in a prison helps me remember and be more okay with my need for Christ to enter into this world. I start to think of the whole human condition as a kind of prison–one this Christchild in His adulthood would enter and redeem. I hate to be a nit-picker here, but Rev. Bonhoeffer did not spell his name “Bonhöffer” – even in German! Both are acceptable variants of the same name in German, and there are certain names – such as Schroeder/Schröder which also do this. This issue is actually brought up in Eric Metaxas’ wonderful book – “Bonhoeffer – Pastor, Martyr, Prophet, Spy”, where on page 7, it talks about the entire family dropping the umlaut and using the “oe” spelling somewhere around 1800. Thanks for being a nitpicker 🙂 It’s appreciated. I’m changing it in the text and will change the graphic when I next have time. I’m certainly no expert on Bonhoeffer, however, having grown up in a Protestant background (and being of a certain age, I suppose), I had certainly heard of him. I converted to Orthodoxy in my early 20s, but I had heard enough good things about the Eric Metaxas book that I bought it, and was completely enthralled. It’s interesting, though, because my experience has been that within the Orthodox Church there is a contingent who discount any non-Orthodox theologian automatically, assuming that they have nothing worthwhile to say about God or the Christian experience. However, there were two major questions I think that Metaxas brought up that seemed to frame Bonhoeffer’s work, especially later, and the two questions are certainly related. The first seems to be “What is “The Church”? Of course, for Orthodox Christians, that question is already answered, but Bonhoeffer was not trying to be a schismatic, and sincerely felt that the German “Evangelische” (main Lutheran/Protestant) Church was the true church in that it corrected the “mistakes” of the Roman Catholic Church. However, he was appalled to see how quickly the Nazi government co-opted the main Protestant church in Germany. This isn’t to say that the Nazis were Christian, by any means, but that they kind of co-opted the Protestant Church to make sure that there wasn’t any organized resistance. The second, though, which I think led Bonhoeffer to “found” his own “Confessing Church” is that question of when is it right to, based on Christian principles, rebel against a tyrannical government. I’ve heard passages in Romans used over and over again to justify not resisting or speaking out, but if one looks more closely, there are numerous examples in the Bible of this exact scenario – the cases in the book of Daniel probably being the most famous. But Bonhoeffer decided that he couldn’t do this within the “official” German Protestant Church, which is certainly interesting. Of course, Rev. Bonhoeffer didn’t survive the Nazis; I think it would have been interesting where his theology would have led if he had. Just my thinking though. He certainly was a brilliant man and incredible thinker. 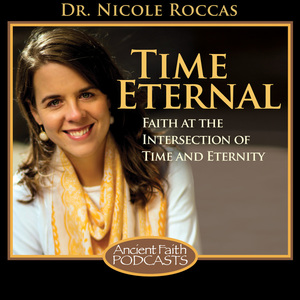 Thank you for your reflections on one of the great Christian martyrs of the 20th century, Dr. Nicole. Thanks, Bridgent! Interesting connection with Ratzinger. That is a beautiful thought. I love the idea that Advent provides us with a framework for learning how to wait–and what role waiting plays in shaping our identity as human beings. Our creatureliness means that our existence hovers between the two advents of Christ. Somehow in reactualizing his first advent, during the Nativity Fast, we come to learn how to wait for His second. I have not read Ratzinger’s Introduction to Christianity, although I did read a shorter talk by him about time and Christ (or history?). It was in a collection of talks given in honour of someone else–before he was Pope, I’m sure. I don’t even remember what it was–I had been at the library looking for something else, came across it, and read the talk he’d contributed sort of absentmindedly. Perhaps I’ll check out his Introduction. I like to read broadly, especially when it comes to theology.